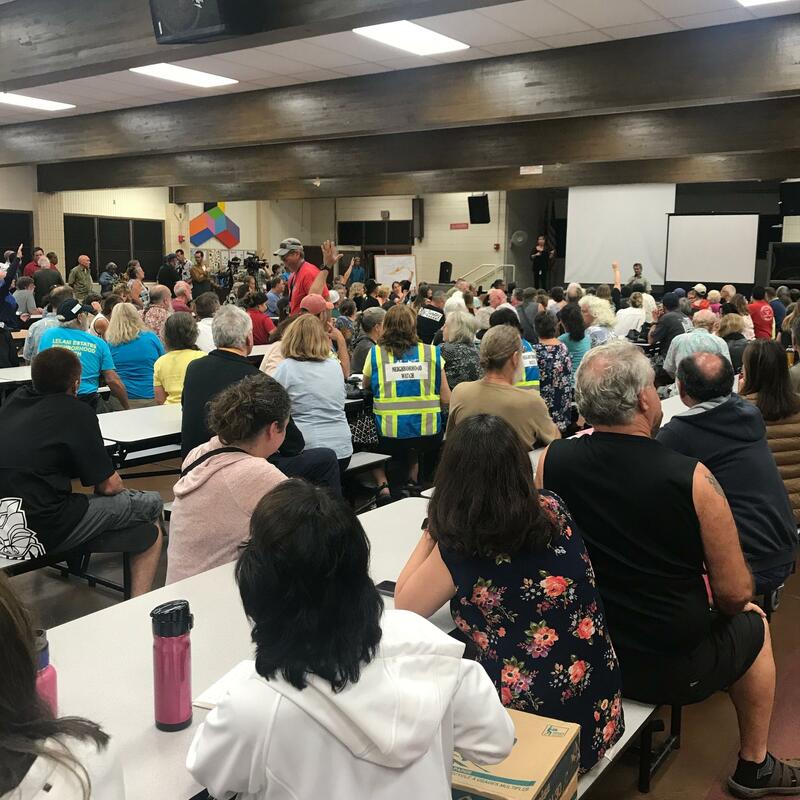 Hundreds of Puna residents pack the Pahoa High School Cafeteria to get the latest updates on the Kilauea Eruption. After a week of living off-the-grid, Leilani Estates evacuees Rich and Corrie Anderson were looking for more comfortable accommodations. 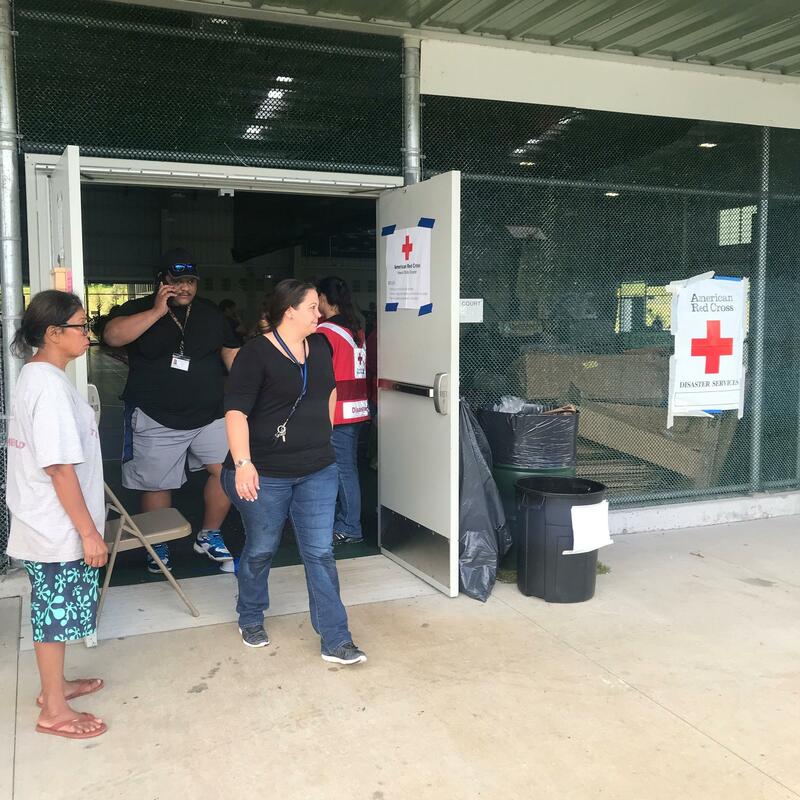 Evacuees set-up shop in the dugout of this baseball field near the emergency shelter at the Pahoa Community Center. Tents can also be seen nearby and in the distance. 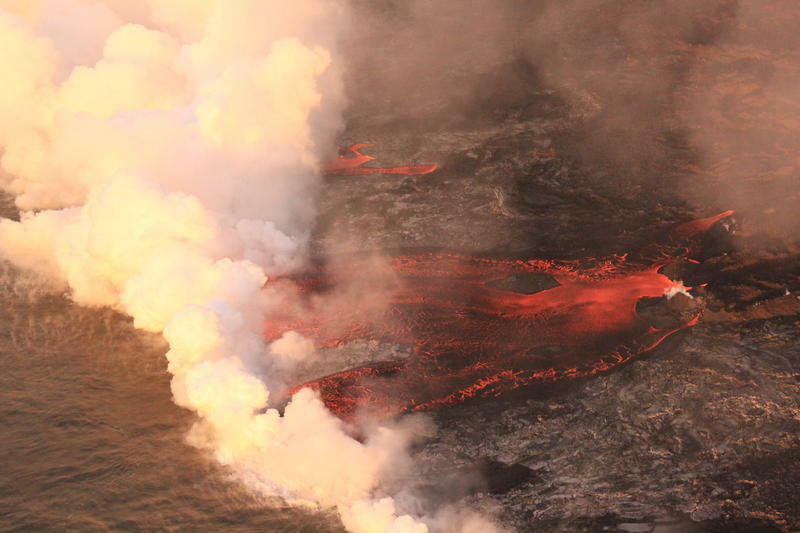 More than 2,000 residents have been evacuated since the eruption began on May 3. The Andersons sought help at the County Disaster Recovery Information Center. Here they were able to secure a restricted access pass to visit their abandoned home. A County volunteer (right) hands out pink placards to residents living in areas in and around the fissure eruption to allow access to and from their homes. 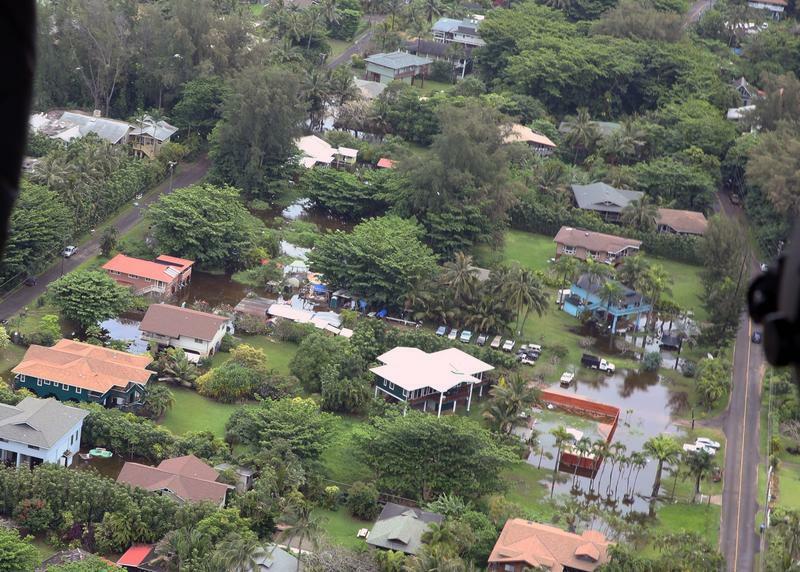 They were also able to find a one-bedroom rental in Puna for June. Their plans beyond that are up in the air. “Just wait and see. There’s nothing…how do you plan? You know. You don’t know?” says Corrie. 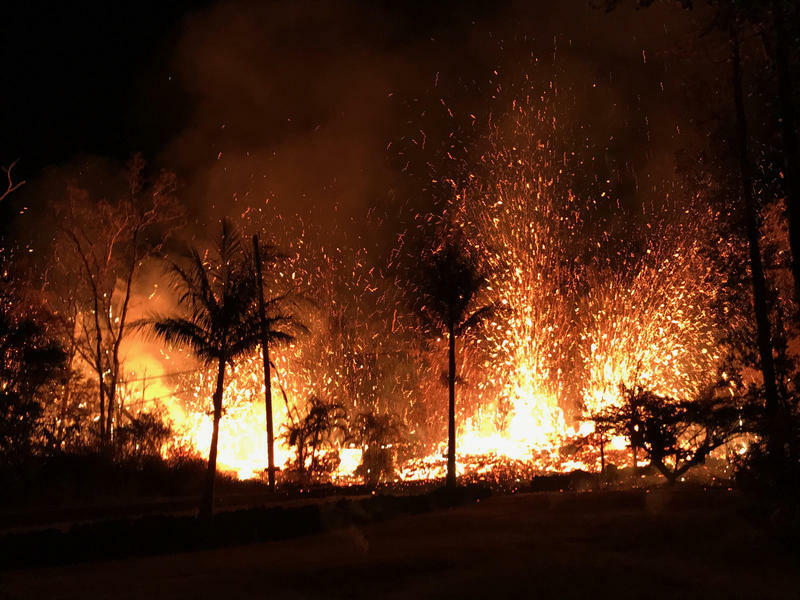 An estimated 2,100 Puna residents have been forced from their homes since the eruption began on May 3, 2018. So what do you do with thousands of displaced residents? That’s a task left to a coalition of government and community organizations. 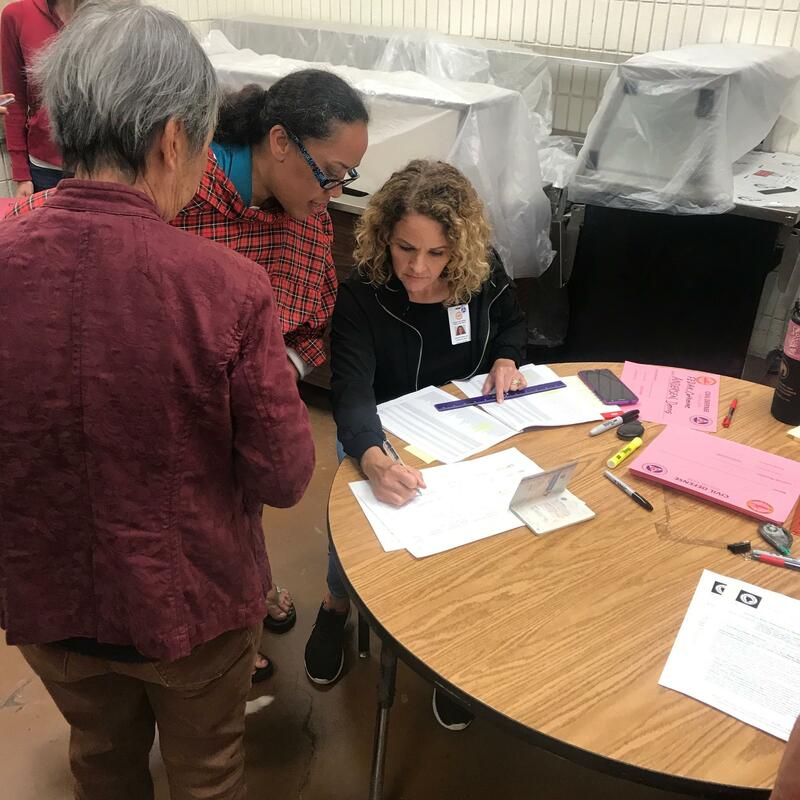 Volunteers from nearly a dozen agencies help collect information on community needs at the information center in Pahoa. Evacuees have been living in limbo for weeks now. 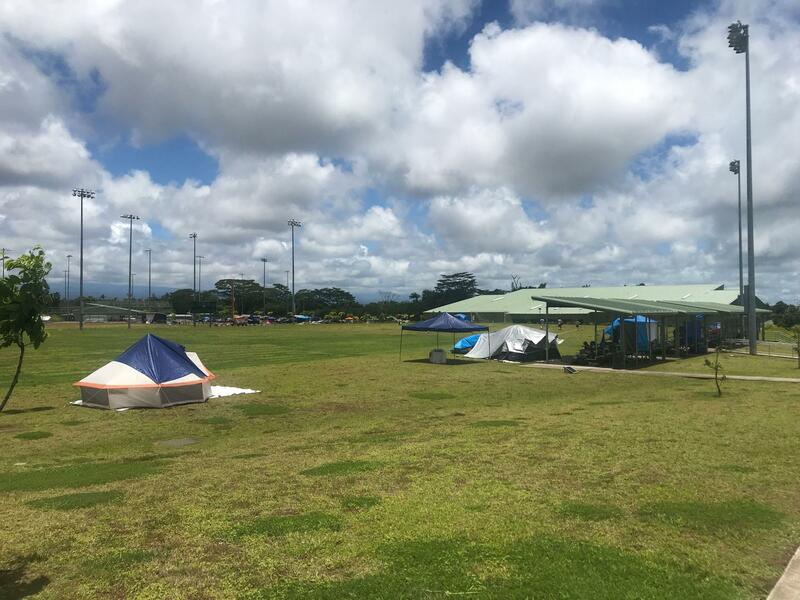 Some decided to post-up in tents on the soccer field near the Pahoa Community Center's emergency shelter. 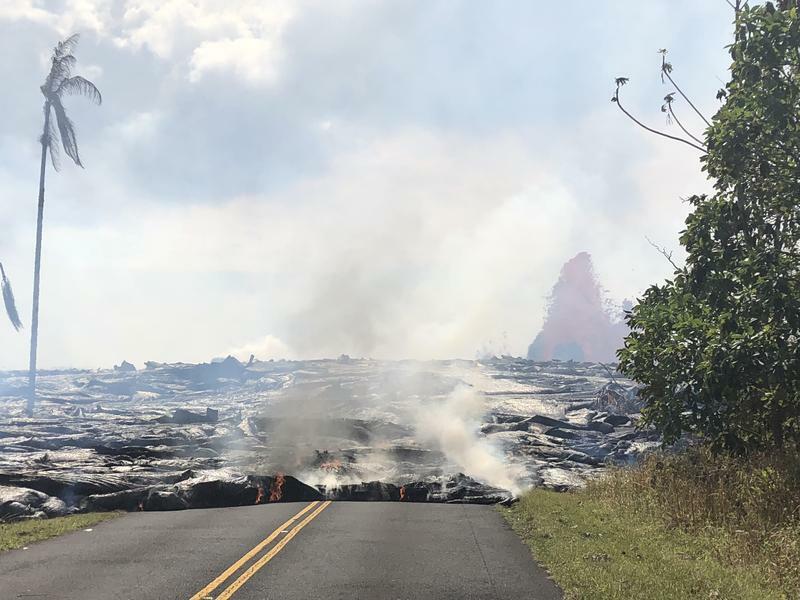 “A lot of times people, individuals who have been impacted had to tell their story more than once and we wanted to prevent that,” says Sharon Hirota, assistant housing manager for the Hawaiʻi County. She helps lead the coalition. 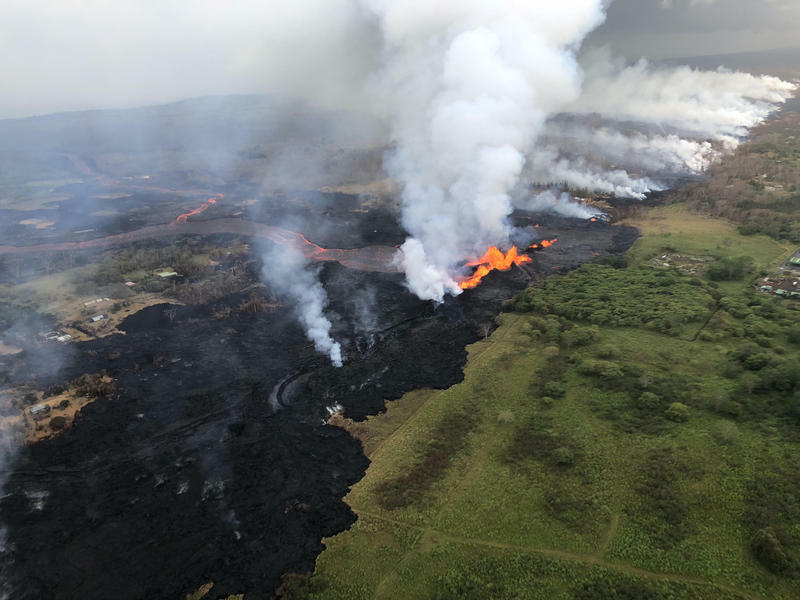 Hirota says it’s hard to say what percentage of evacuees' needs have been assessed, but on average the coalition has seen an estimated 500 walk-ins a week. “We are taking all of the information and including it into one database, and then we are going to triage based on agencies’ responsibilities and what their expertise is, and then reaching back out to these families to provide services,” says Hirota. County workers check-in on the American Red Cross emergency shelter. On average, an estimated 150 - 200 evacuees are seeking shelter here every night, according to the Red Cross. Outreach worker Sha’nae Ramos was canvassing the shelters - clipboard in hand - to assess evacuee needs. RAMOS: Did you manage to get enough of your clothing and important documents out of your home? UNIDENTIFIED MAN: No, I left everything over there. Ramos works for Neighborhood Place of Puna. The local non-profit is part of the coalition. She says affordable housing is the most pressing need. 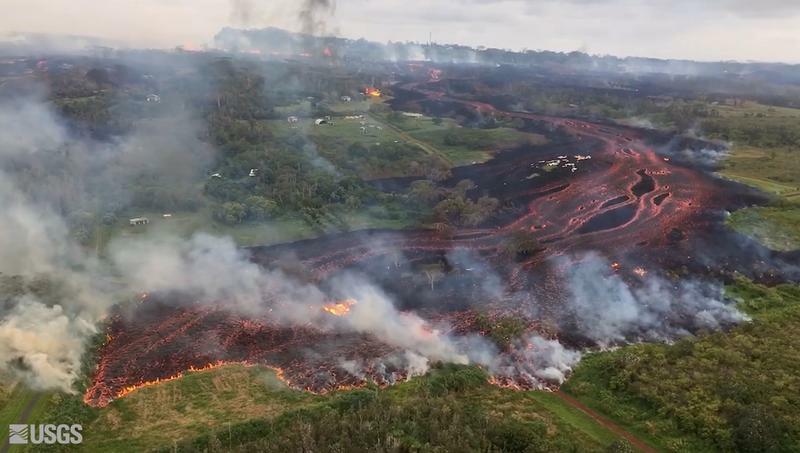 As lava continues to flow from Kilauea Volcano, there’s really no telling when the coalition’s work will end.